It’s nothing short of a miracle when you make it down to Cape Cod in less than three hours on a Friday in the summer. So when we beat the traffic and got down within an hour and a half, we celebrated with lunch in Buzzards Bay at The Seafood Shanty. 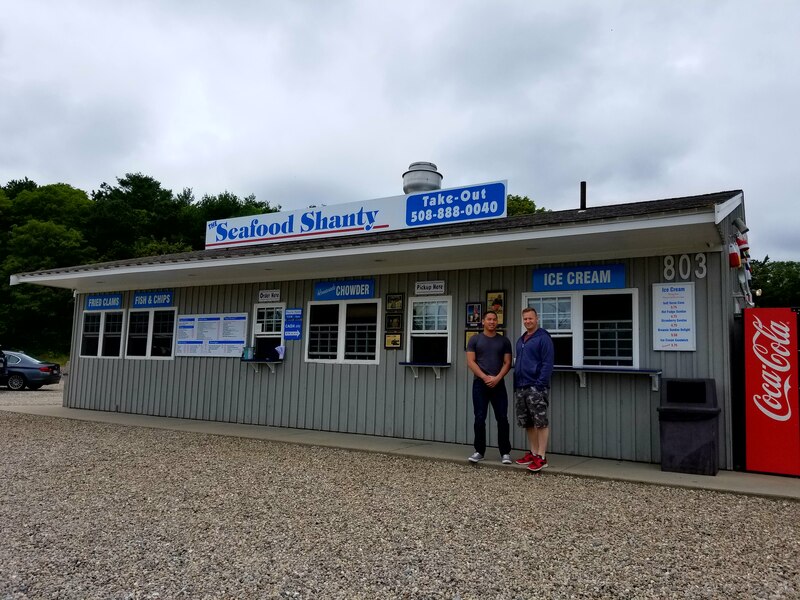 Located near the Sagamore bridge crossing, the Shanty advertises itself quite well with large signage hawking lobster rolls and fried clams (which, coincidentally, were what we ended up ordering … or not so coincidentally, which means their simple marketing appealed to our hunger!). We rolled up around 2:30 and saw plenty of open picnic tables. S was already seated, enjoying his fried scallops (a generous portion priced at $21.95). 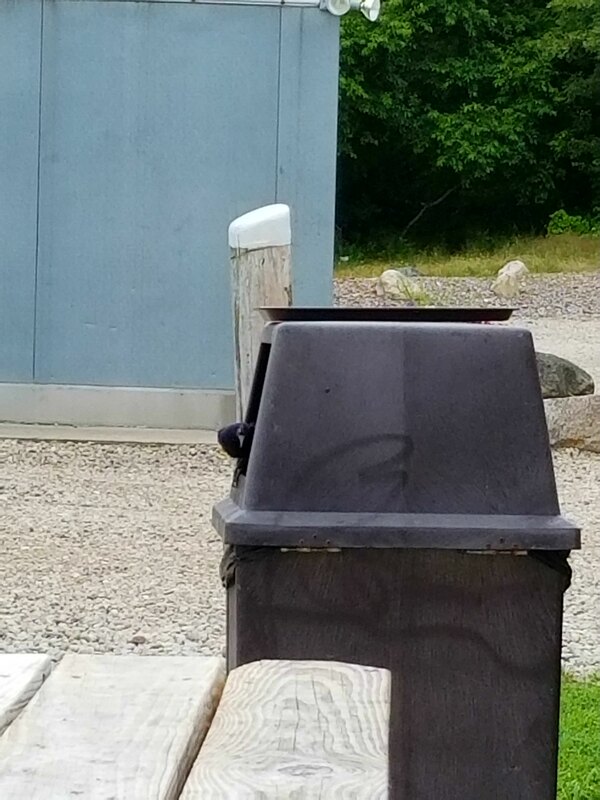 Even celebrities make their way down here for a good meal! Look at these gorgeous plates of clams (whole bellies at $23.95 and strips at $13.95)! The batter was light and flavorful, the seafood crispy and cooked to perfection. Each fried plate came with two tartar sauce containers, cole slaw, and fries. T got a side of drawn butter with his loaded lobster roll – well worth the $23.95. After devouring the plates and subsequently feeling lethargic, we tossed a football around in the parking lot before heading to our Airbnb. The Seafood Shanty was well worth the visit if you take this route to the Cape. And away we go for the weekend!